The Manor of Wingham was given to Christ Church in 836 by Athelstan, King of Kent, and was lord of the manor over much of the land in the present parishes of Ash, Goodnestone, Nonington, Wingham, and Womenswold. It was recorded as Winganham in 946 and Wingehame in the Domesday Book. In what became the old parish of Nonington the Manor of Wingham held Ackholt; Kittington; Oxenden, later Oxney; North and South Nonington (centred around the present hamlet of Nonington, Ratling Court, and Old Court); a small part of Soles manor; and the woodland at Crudeswood, later Curleswood Park. The manors of Eswalt, Essewelle, and Soles along with Mounton, were not part of the Manor of Wingham. Mounton, also Monkton, was a small estate of some twenty-five acres or so around the present Gooseberry Hall Farm which was part of the Manor of Adisham, another manor held by Christ Church. Christ Church lost possession of many of its holdings during the troubles of the Heptarchy in the ninth and tenth centuries. Some restitution was made in 941 when Edmund I, the Magnificent, king of a unified England, “restored to the Church of Christ, which is in Canterbury, those lands which his forefathers had unjustly taken away from the Church of God, and those that belonged to that church”, mainly Twiccanham (Twickenham, Middlesex, given in 793), Preostantun (Preston-next- Faversham, given in 822), Winganham, (Wingham, presumably the Manor of Wingham of which Nunningitun [Nonington] was a part), Swyrdlingan, (Swarling-in-Petham, given in 805), Bosingtun, (Bossington near Adisham?) , Gravenea, (Graveney, given in 811), and Ulacumb, (Ulcomb). The Domesday Survey of 1086 and after. In late 1085 William I, the Conquerer, (1 The Domesday Survey of 1086 and after. 066-1087) ordered a survey to record who then held the land in England, and parts of Wales, and who had held it during the time of King Edward the Confessor. Nonington is not mentioned in the Domesday Survey as it was included in the entry for the Manor of Wingham, but a survey of churches made for Archbishop Lanfranc of Canterbury made soon after his ordination in 1070, and so roughly contemporary to Domesday, records “Nunningitun” as a subsiduary church to the mother church “ad Wingeham”. On August 2nd 1282 Archbishop John Peckham founded the College of Wingham, a college of secular canons consisting of a provost and six canons, divided into four parishes as follows: Wingham; Esse (Ash); Godwyneston with the hamlets of Bonnington, Offington (Uffington), Rolling, Newenham, underdone together with parts of Tuicham (Twitham) and Chileden (Chillenden) and, lastly, the church of Nonington with the chapel of Wymelingewelde (Womenswold) and the hamlets of Rittlynge (Ratling), Freydeville (Holt Street), Hesol (Esole), Suthnonington ( South Nonington) Hakeholt (Acholt), Catehampton (Kittington), Attedane (Oxenden? ), Wolshethe (Woolege), and Vike (Wick). In 1283 to 1285 had a survey made of the Manor of Wingham and the new parish of Nonington contained all or a part of its constituent manors of Ackholt; Curleswood; East Ratling, later Old Court; Kittington; North & South Nonington; Oxenden; and Ratling. 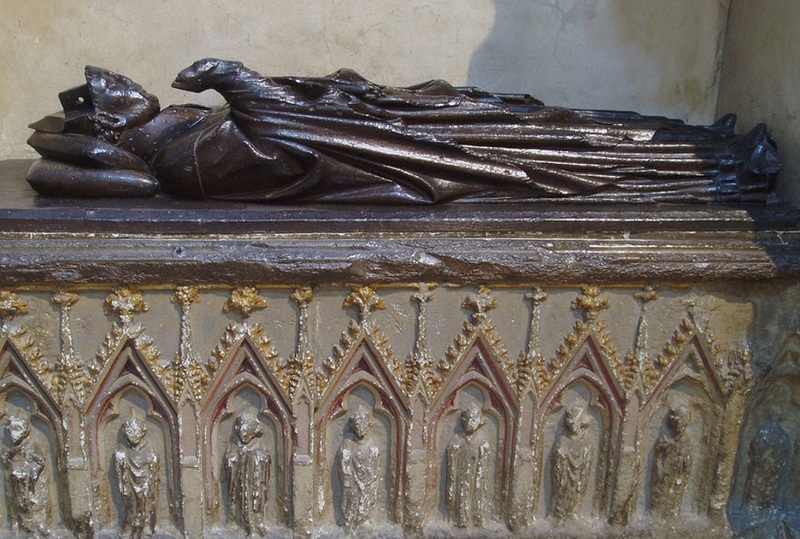 The tomb of Archbishop John Peckham in Canterbury Cathedral. The Manor of Wingham remained in the possession of the Archbishop until 1538 when he exchanged it for other property with King Henry VIII for other property. Around 1800 Edward Hasted in his history of Kent said that the manor itself “with the royalties, profits of courts, &c. remained still in the crown. Since which, the bailiwic of it, containing the rents and pro fits of the courts, with the fines, amerciaments, reliess, &c. and the privilege of holding the courts of it, by the bailiff of it, have been granted to the family of Oxenden, and Sir Henry Oxenden, bart. of Brome, is now in possession of the bailiwic of it. A court leet and court baron is held for this manor”. 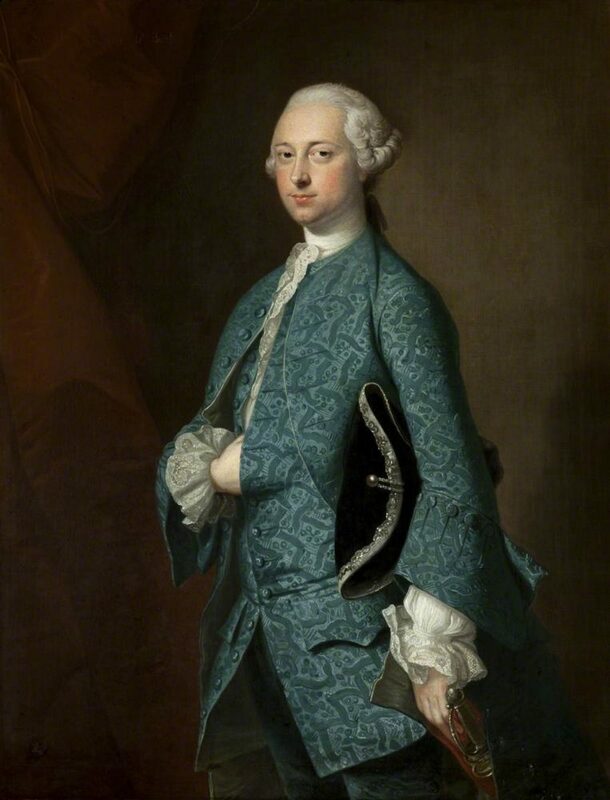 Sir Henry Oxenden (1721–1804), whose family took their name from the Manor of Oxenden [Oxney], in the parish of Nonington. 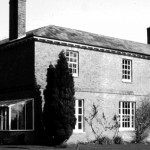 The Oxenden family retained the lordship of the manor of Wingham into the 20th century and may still do so.